During the Fall semester of 2005 freshwoman Alicia Gallo and her friends would often meet to knit, do homework and socialize. Their weekly meetings soon led to the idea for a club that has made its debut on the Mills campus this spring: the Crafters' Collective. "The goal of the Crafters' Collective [is] to use our creative capabilities to give back to the community by donating and fundraising for charity," wrote the club's publicity chair, freshwoman Ashley Ashford, in a bulletin on the Mills College student newsletter. The idea for a club whose purpose was solely the creation of various crafts soon evolved into an opportunity to give back to the Bay Area community, said Gallo, who is now president of the Collective. The club plans to donate all of its profits to a yet-to-be-determined shelter for women and children. 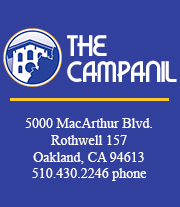 All prospective shelters are in the Berkeley and Oakland area. Gallo has not approached any shelters yet because she said she doesn't want to get their hopes up in case the club doesn't receive money from the school. She said the shelters the club chooses will be "for women and children, whether they be homeless or battered." Prospective shelters include Women's Refuge, 24 Hour Oakland and A Safe Place. At first club members planned on knitting things for those in the shelters, "but then we realized in a shelter, although they would appreciate handcrafted articles like clothing, we'd be more helpful and useful [if we] sell items and buy care packages that they would then be able to use," Gallo said. Care packages would most likely include "basic toiletry items" like soap and�shampoo. The club, which Gallo said currently has eight members (including its four officers), is trying to expand its membership. Notices welcoming anyone who is a Mills undergraduate to join the club have been posted on student-news, public bulletins and in bathroom stalls throughout Mills. "The club is open to anyone who just wants to make crafts, whether it be knitting, crocheting, painting [or] beadwork," Gallo said. "Basically it's a club for people to get together and learn and share ideas." Freshwoman and treasurer Alice Mendoza said the Collective is an opportunity for members to "share our love of crafting," but that prior knowledge of crafts is not a requirement to join the club. "If you want to learn to knit, crochet, or just how to sew a hem, we can teach you," she said. The club meets on Thursdays at 8 p.m. According to Gallo, once registered as a club, the school provides funding. Gallo said that paperwork is being evaluated for funding approval. "We're not expecting people to run the club with their own fees," she said. Gallo said the club also accepts donations. "We got a donation of yarn from a fellow student which was exciting and marvelous." For more information on how to make a donation or to join the club, contact Alicia Gallo at agallo@mills.edu.